After a few delays, we finally received the book back from the printers on Friday. We are rather excited to finally have it in our hands after all these years. Thanks again to the talented and insightful Pola Brändle for all her work on this. Pre orders will be sent out tomorrow and if you haven’t ordered your copy yet, please do so here. 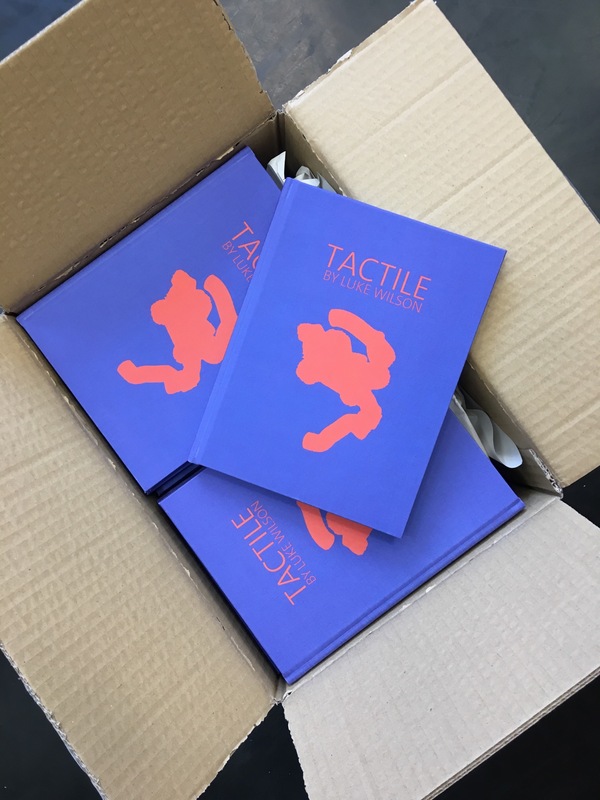 We are delighted to announce that Gandini Press are publishing Luke Wilson’s book, Tactile. With much work and consideration on the layout and design by Pola Brändle, the book is now finally with our printers in Wales, where they’ll produce a small run of 200 Hardbacks. 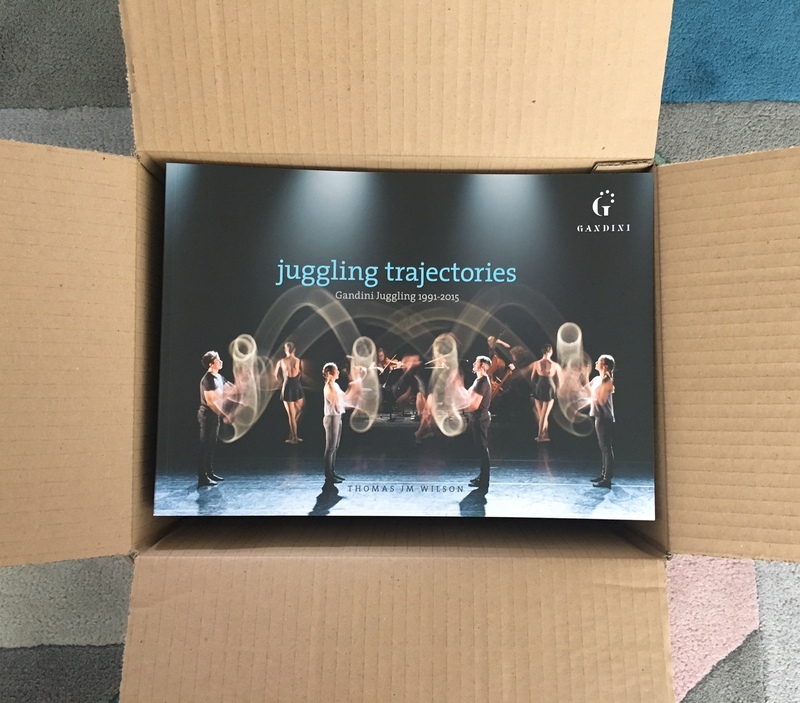 For those of you who knew Luke and his intelligent thoughts and writings on Juggling, this book has been something close to our hearts and we can’t wait for the excuse to re-read his musings. Tactile is available to pre-order now, and will be dispatched early January. To celebrate this achievement, we’ve lowered the price of both the Paperback and Hardback for a limited time only. We are also in the final stages of preparation for the publishing of “Tactile” by the late Luke Wilson containing a very thoughtful collection of (in his words) his essays, blogs and rants. We hope to have this out mid summer so please check back here or contact us for more information. Will half of the limited hard backs gone already, we are on our last day of the special introductory preorder rate for both the Hardback and the Paperback editions. Please spread the word and tell anyone that may be interested before this deal runs out. Prices will go to their full price on Tuesday 9th August. There will be only 200 copies printed as hardback – all will be hand numbered and the 1st 100 will also be signed. If this interests you, please place your order soon as we only have 30-40 left. Postage has now been added for many more countries outside of Europe. Please let me know if your country still isn’t listed and I can get a quote over to you. With the anticipated arrival of the new book on the history of Gandini Juggling 1991 – 2015, ‘Juggling Trajectories’ (pre-order available very soon), we have been updating our shipping prices. If you live outside Europe, you may find there currently isn’t a shipping option for you but if you drop me an email saying where you needing shipping to and what you wish to order, I can send you a postage quote and invoice payable through the website. If you are looking to do larger orders (through an organisation or shop), it might be easier to contact us and discuss options. Many thanks and enjoy! Available now on Gandini Press – Nimrod Borenstein’s haunting score to our piece 4 x 4 Ephemeral Architectures. Recorded in the legendary church Jesus-Christos-Kirche, Berlin, where Karajan used to record. With full string Orchestra performers by das freie rochester Berlin and conducted by Laércio Diniz.